This Fogelberg watch has sapphire glass which is scratch resistant. 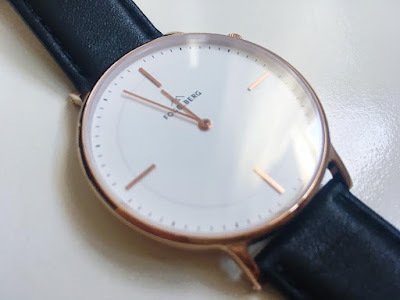 Other features; Quality Japanese quartz movement and a stainless steel 316L watch case. 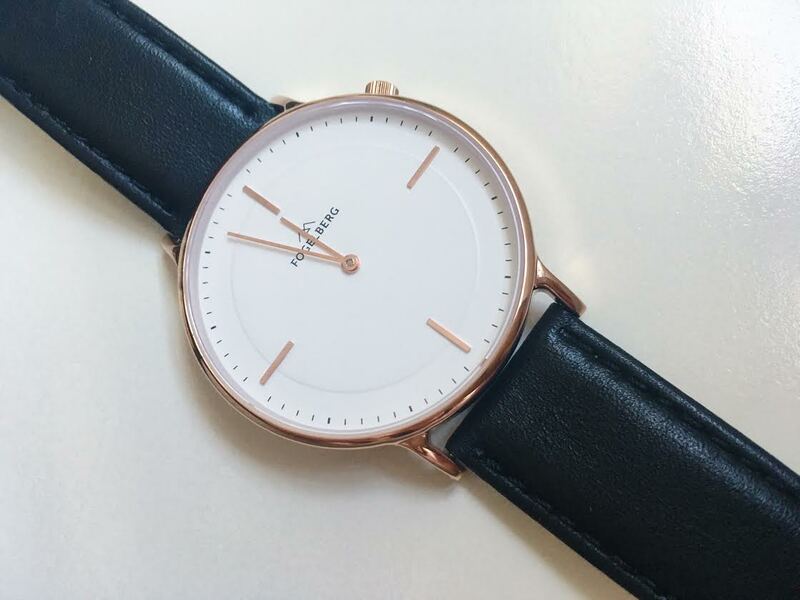 The watch itself is very minimalistic, making it rather versatile when styling outfits and accessorising them. I love the rose gold details and the modern feel to it. 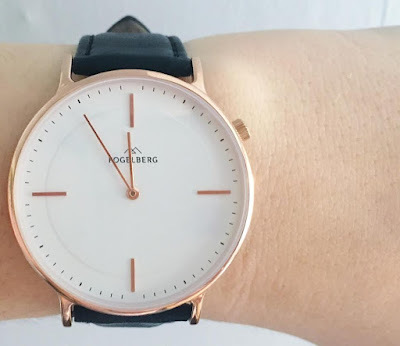 I personally have difficulty finding a watch that looks good on my wrist and as you can see in the photo above, the face takes up my entire wrist. If you like larger watches, this one is definitely for you!